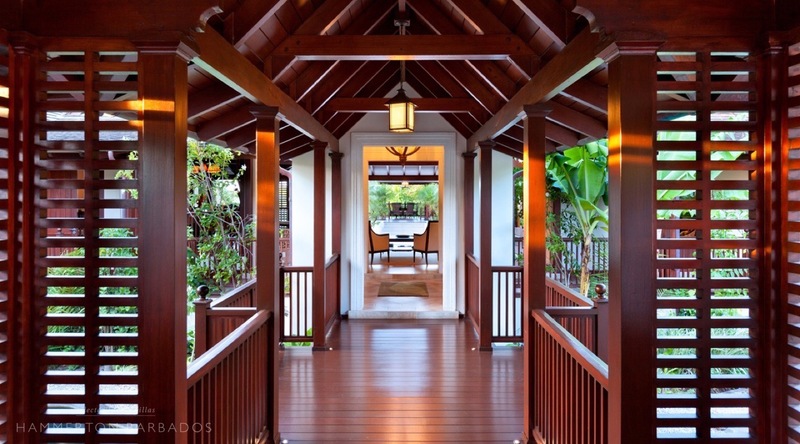 Alila has a very distinctive Balinese style and is beautifully designed throughout. 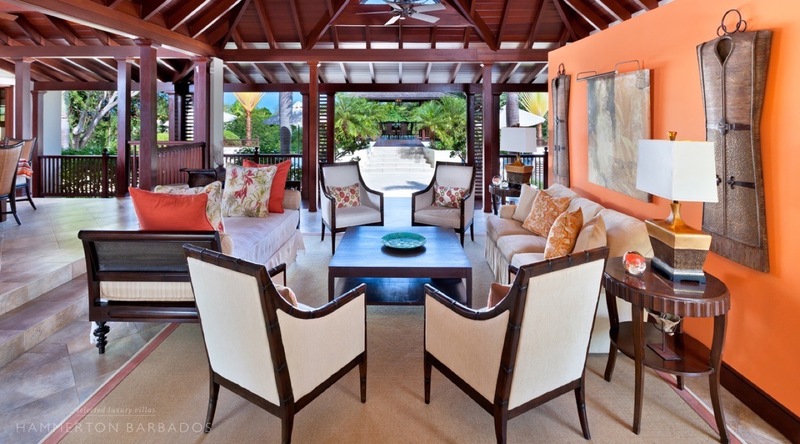 Wonderful gardens and stunning pool area complete this stunning Sandy Lane villa. 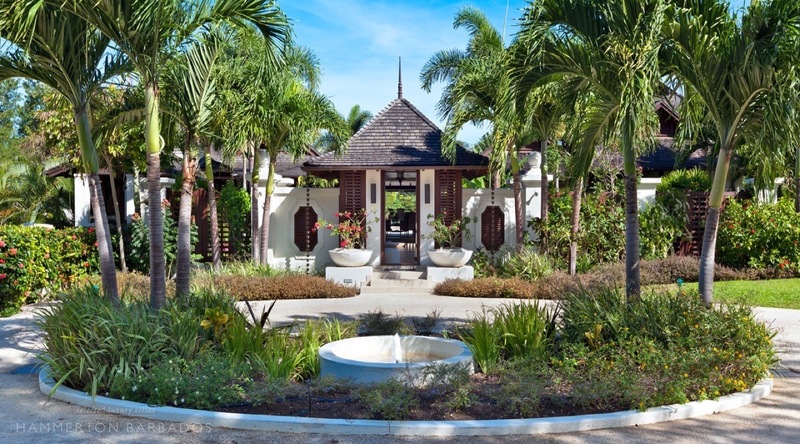 Alila incorporates the best of Barbadian and Balinese design elements, with open plan living spaces and extensive use of beautiful hardwoods to give a natural, organic feel. 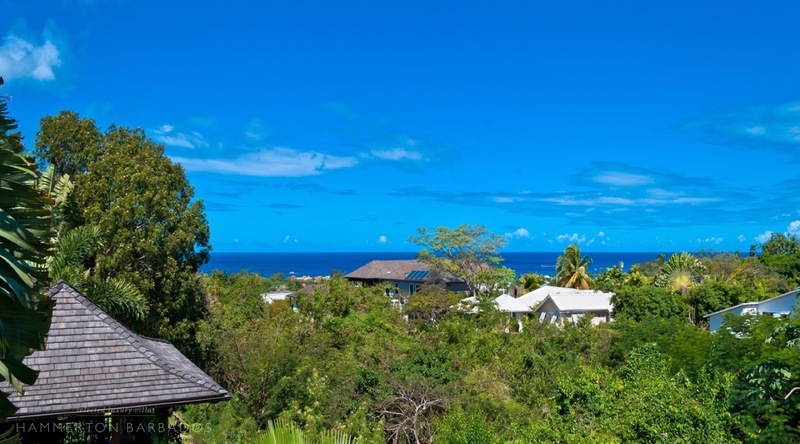 With beautifully landscaped gardens, infinity pool and raised gazebo and the exceptional view this property is a truly stunning tropical paradise. 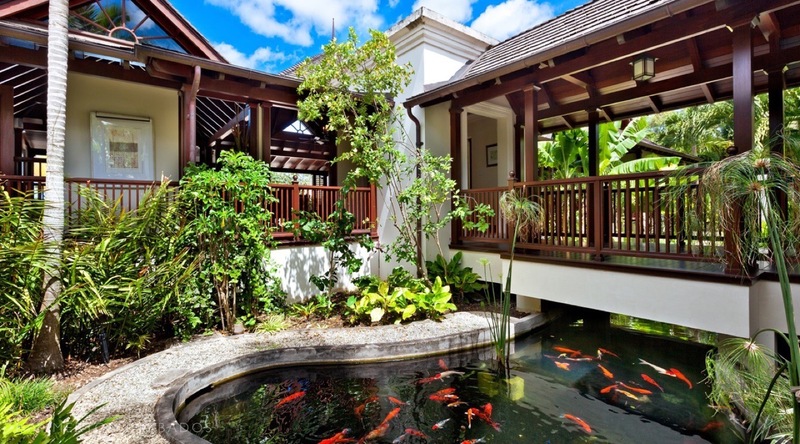 As you enter the grounds a lovely fountain greets you and as you walk through the entrance to the villa you are further soothed by oriental koi ponds gracing either side of the wooden walkway. A large raised dining area that comfortably seats ten also includes a full wall water feature and is open along one side allowing for glorious views as you dine. 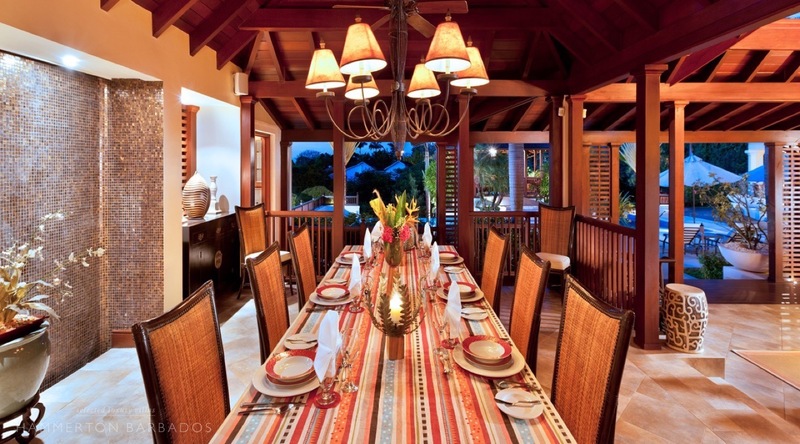 The dining area leads down to a comfortable seating area, also open along one side offering views of the pool area, which in turn leads to a second comfortable seating area where you can relax. 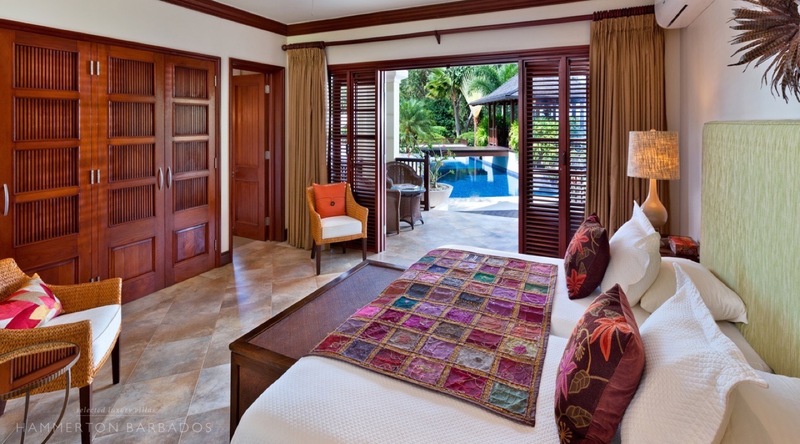 Alila provides four large bedrooms each of which has an en-suite bathroom and air conditioning. Built with a flowing open plan design, each room leads on to another and each offers a glimpse of the breathtaking view. 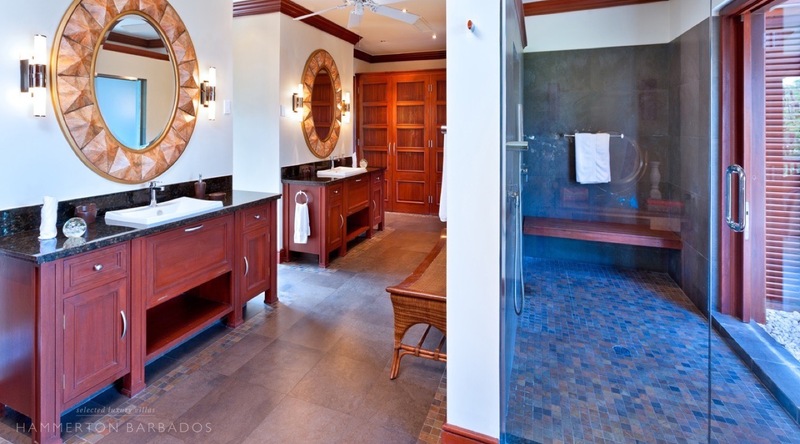 The master suite, which encompasses the whole upper level, is pure indulgence with an ornately decorated double bathroom containing a lavish walk in shower that leads out onto the private patio containing an amazing outdoor bath. 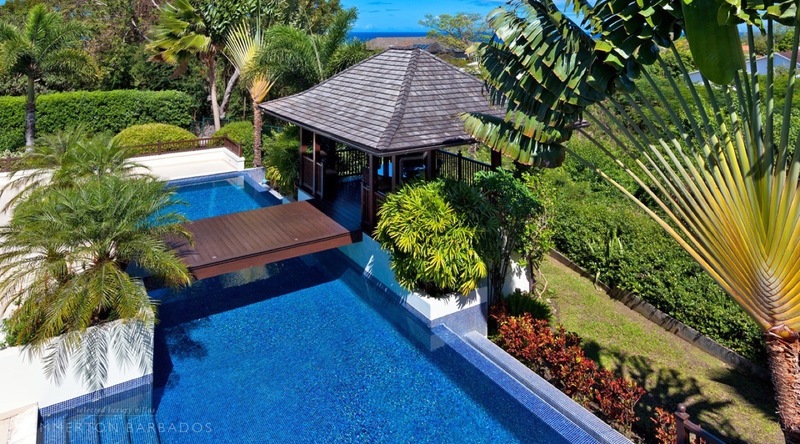 The private patio overlooks the pool area and gazebo and offers one of the best views from the property, with a gully (one of Barbados' stunning features) running along the north side and the coast to the west. 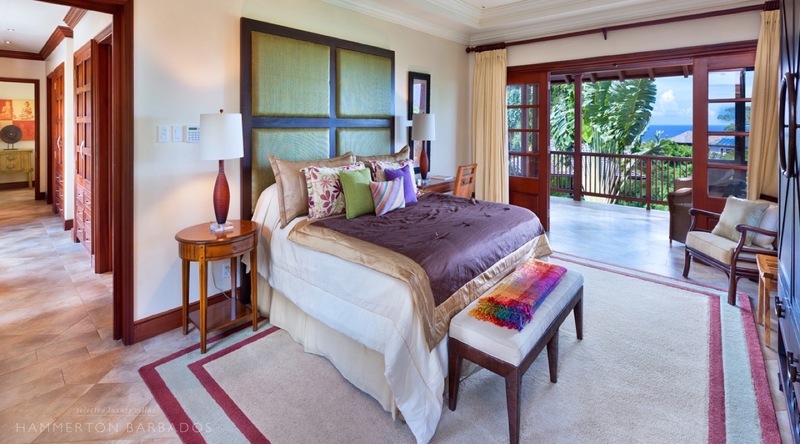 There are three further bedrooms found on the lower level of the property. For the truly outdoor experience there is a stunning raised gazebo that is positioned above the saltwater swimming pool giving the most outstanding views of the West Coast. 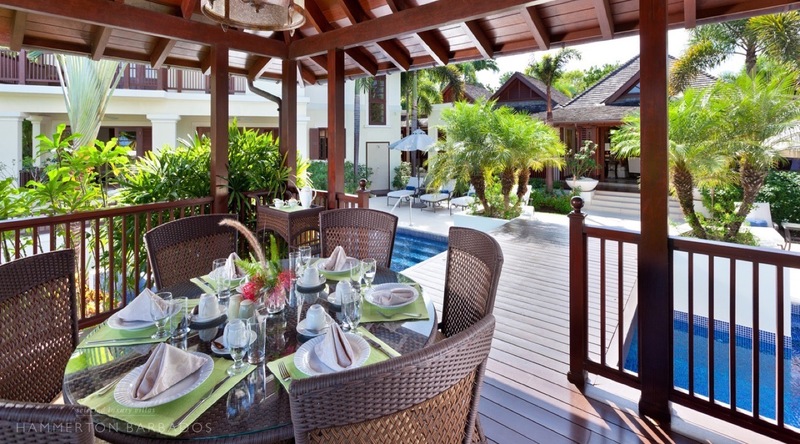 A beautiful wooden bridge built over the large infinity pool leads you to the gazebo which offers a wonderful view all around and provides the perfect outdoor dining area. 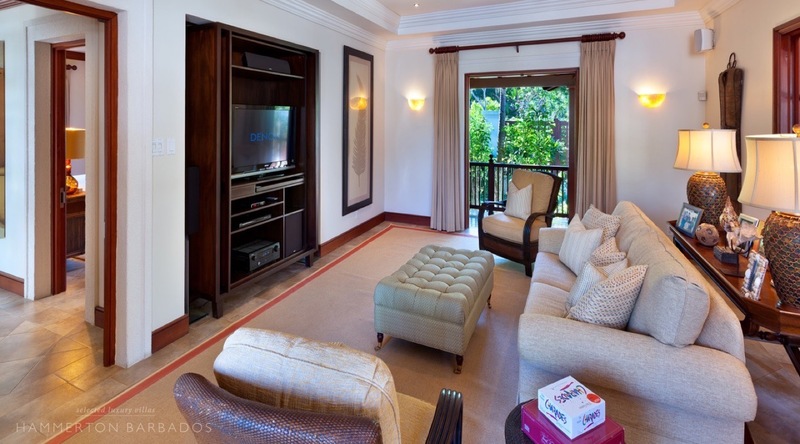 The property is equipped with the most modern appliances and up-to-date technology including the fully equipped large kitchen with granite surfaces, iPod docks in each room and modern security features. 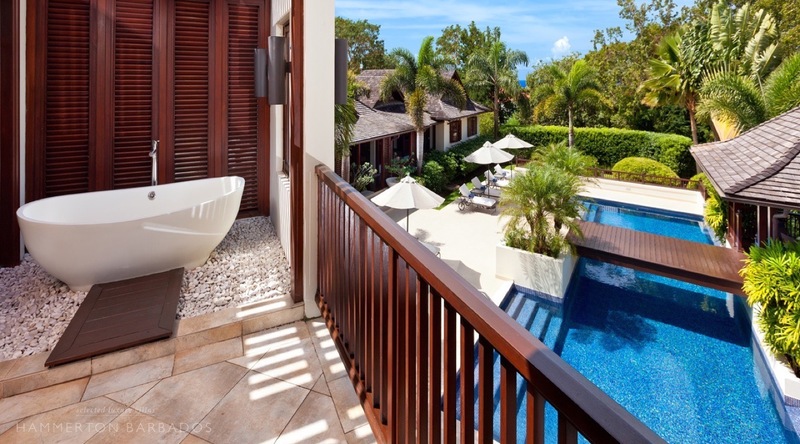 Guests at Alila have access to the Sandy Lane Property Owners' beach where there is a private cabana and access to the owners' bar and lounge. Property owners tend to accept bookings over the Christmas and New Year period on stricter terms than at other times of year. 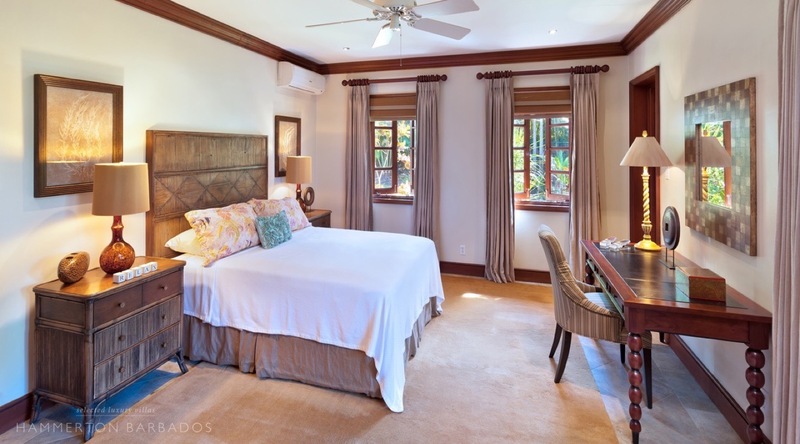 In general, bookings are subject to a 14 night minimum stay but owners may require a 3 week booking in some cases and will often need to approve dates to fit with their own travel plans or those of other guests. A higher deposit of 50% of the total rental price is payable for such bookings and the balance becomes due earlier at 90 days before arrival. All prices quoted above have been calculated based on information provided by the owners but are subject to confirmation during December and January as occasionally owners may insist on the higher Christmas rate being applied either side of the main Christmas period. We suggest you contact us for a firm price quotation at this time of year, before making your booking. The above prices include local taxes and service charges where applicable. As the Barbados Government is currently changing the way it taxes rental properties, we will reconfirm all prices at the time of booking. A security deposit of US$2000 will be required on arrival. 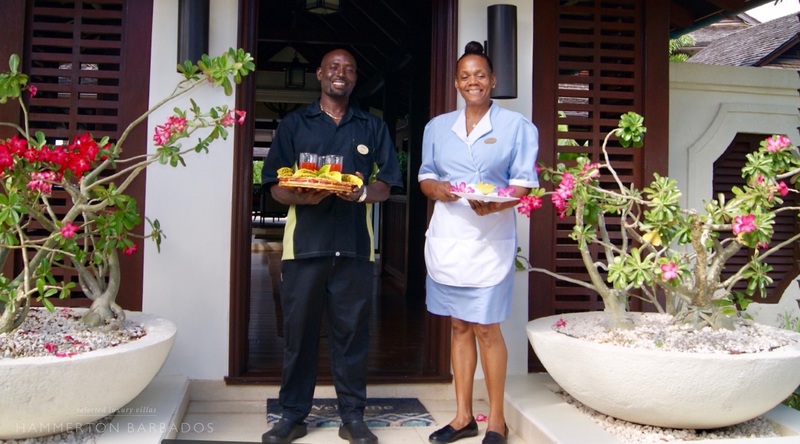 Housekeeper – ask Jasmine about her cocktails too! Please ask for details. Price calculator excludes the special offer discount, which will be applied on booking if applicable. Please contact us to confirm the value of any discount. We would love to hear from you. Please drop us an email at any time of day, weekday or weekend and we will try to respond within the hour. A great way to communicate as we can answer your questions in real time. We are usually available 7 days a week between 9am and 8pm. We like to be sociable. 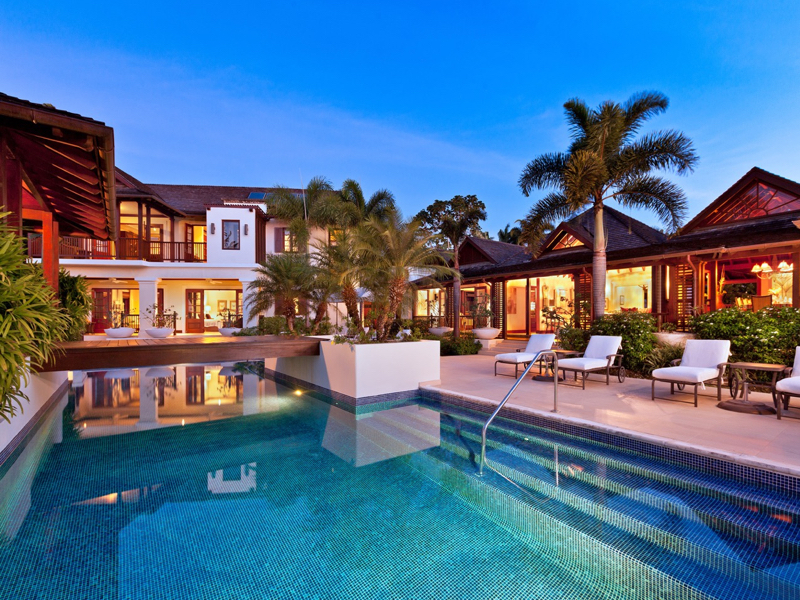 Please follow us to hear about our favourite properties and to keep in touch with latest news from Barbados. Please sign up to our Email Newsletter so we can tell you about events and news from Barbados, inform you about special offers and tell you about new rental properties on the island. We promise not to swamp your inbox and you can unsubscribe at any time. We have selected the properties we offer based on personal visits and a wealth of local knowledge and we hope to offer the best possible service before and during your stay. All rental prices are set by the property owners and you shouldn’t find the same property at a lower price elsewhere. Unlike some operators, we always include local taxes (VAT and Barbados Government Room Rate Levy) and local service fees in our rates so it is worth checking this when making comparisons. We are aware that some operators offer discounts and promotions from time to time and we don’t want you to ever feel as though you are paying over the odds by booking through us – it’s not what we’re about. If you do find the same property at a lower price elsewhere please do let us know and we promise to match the price. Our aim is to be fair, open and honest at every stage as we look after your holiday arrangements. 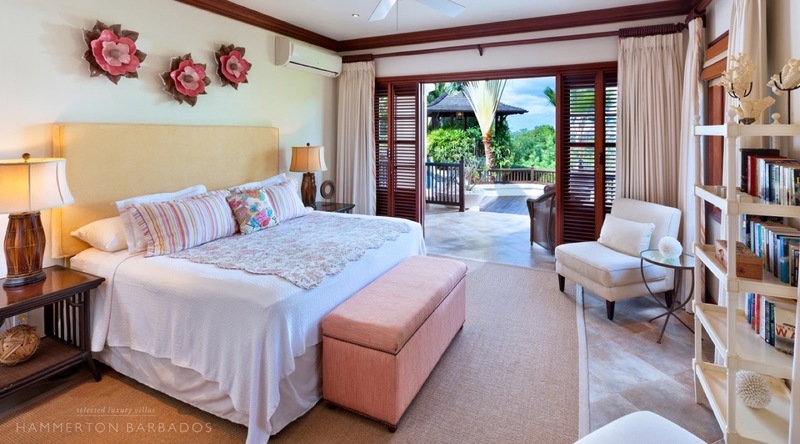 Book your stay in Barbados with us before the end of January and we will treat you to VIP Five Star Fast Track assistance at Grantley Adams International Airport on arrival. The service includes a personalised meet and greet inside the Arrivals Hall after which you will be fast tracked through dedicated Immigration and Customs queues. You will also be assisted with baggage claim before being escorted to your awaiting taxi or rental car. *Valid for new bookings made from 26th December to 31st January with arrival dates in 2019 and rental values over £5,000 only. 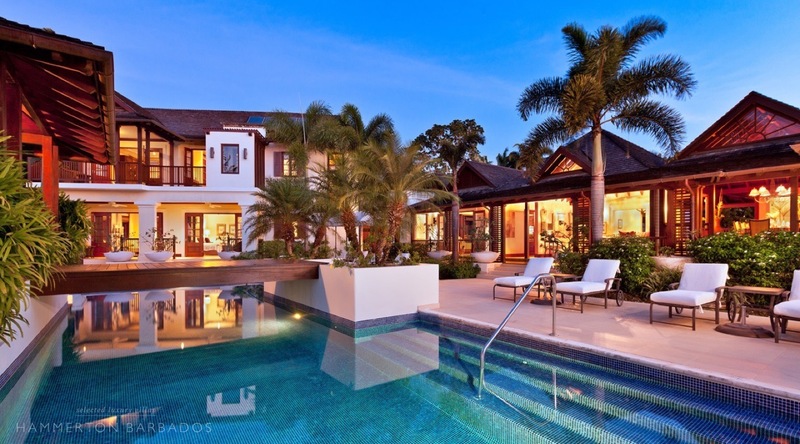 Know the name of a villa you have in mind? Start typing above to find a match.